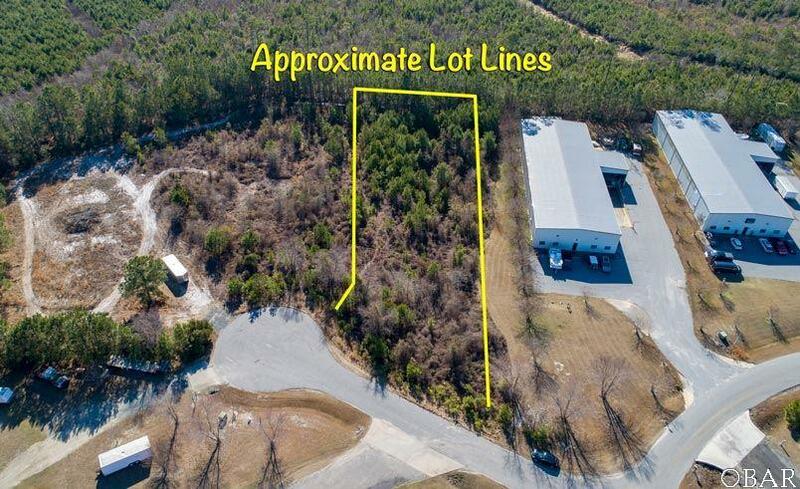 Great Commercial 1.16 Acre lot just off of Route 158 and located a couple of miles north of the Wright Brother Memorial Bridge. Perfect location for a Warehouse, Light Industrial and Storage. The lot next to this lot is also for sale - It is MLS # 103635. (Both lots together would be 2.58 acres). Both Sellers are Licensed NC Realtors and the Listing Agents.